Design for decentralized photovoltaic plant architectures and self-consumption. The EFASOLAR range is represented in the lower power segment by the models of EFASOLAR 100T, EFASOLAR 100 and EFASOLAR 250. 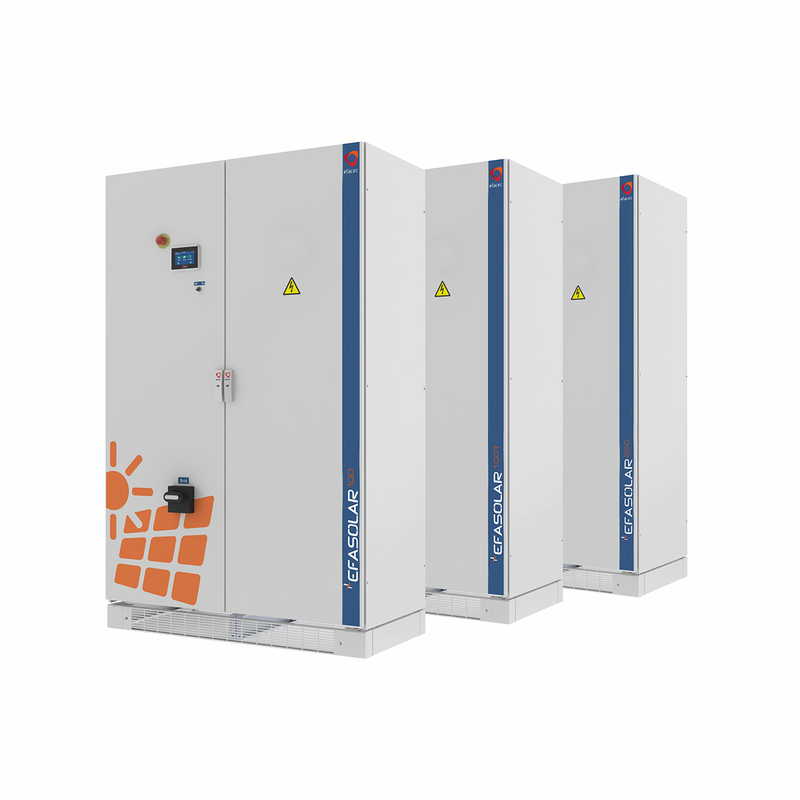 The EFASOLAR 100T model has an output power of 100 kW, with an integrated isolation transformer. The EFASOLAR 100 and EFASOLAR 250 are transformerless models intended for use in installations connected to the medium voltage grid.